For 40 years, GSI has helped clients manage their business communication & printing needs. 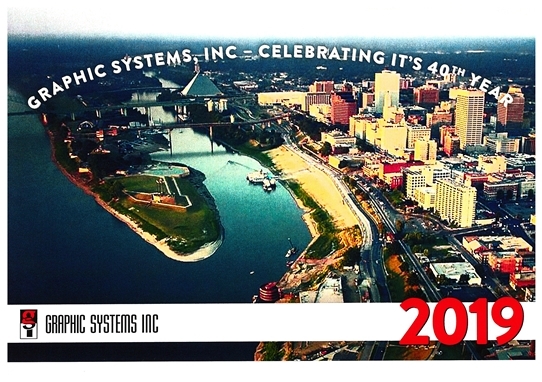 Graphic Systems, located in Memphis, TN, is a seasoned group of print and project management experts available to provide you with a comprehensive system of services. GSI can manage the creation, production, fulfillment, and/or distribution of your business communication products, locally as well as worldwide. Recently, we have expanded our expertise into the Ad Specialty market and the Sign & Wide Format Display market. Give us a call - we would love to help! Online Promotional Item Shopping - Now Open! Just Click here. "Graphic Systems is a great vendor to work with! Their fast turnaround, flexibility, and excellent resources make our hectic projects that much easier."